ðŸ’¡Trying to make better decisions but continue falling into the same cycles? 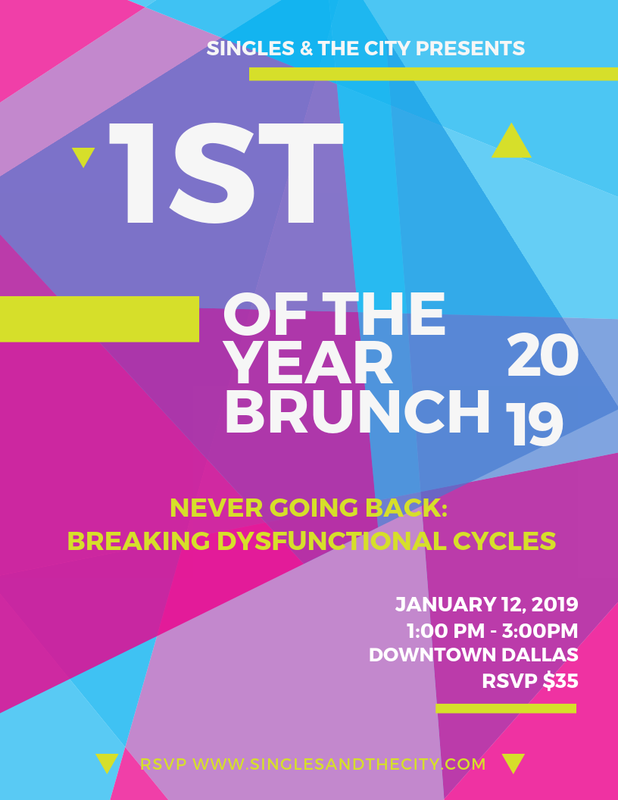 Join us for our 3rd Annual â€œ 1st of the Year Brunchâ€�! Come prepared to hear fresh perspective from our Panelists who have encountered trial and error in dating relationships, communication, self -esteem and keeping commitments to Christ. You will leave this Brunch able to identify your own patterns and SUCCESSFULLY BREAK THE CYCLES - once and for all. This event is packed with authentic, inclusive, and interactive table talk with forward thinking professionals, visionaries and change-makers. *Brunch/beverages not included with RSVP. Â© 2014-2018 Singles &The City. All right reserved, worldwide.